Home > People > Speakers > 2018 Convention Speakers > Victor Harris, Jr.
Victor Harris has been a staple on the Bay Area poetry scene since 1999, he has featured at venues in Oakland and Berkeley, and was on the slam finals stage for team Oakland in 2003. He is the recipient of the 2001 Frederic C. Fallon Award for poetry from Chabot College, and a 2006 graduate of Cal State University Hayward with a B.A. in Liberal Studies. 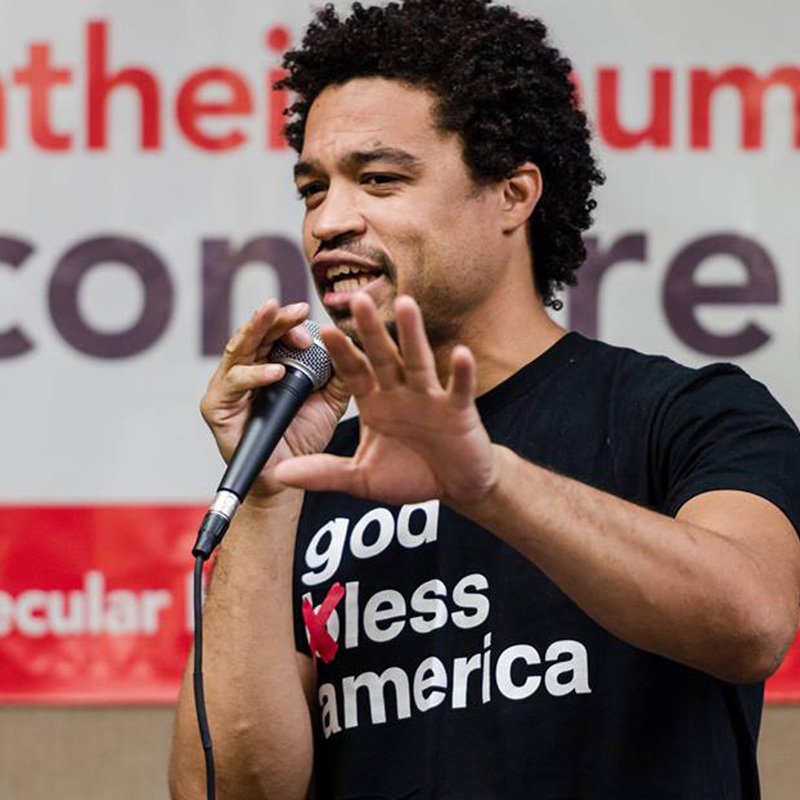 Victor has been writing and performing atheist/skeptical/rational/science themed poetry since 2007 and has performed at conferences around the country. When he’s not writing, or performing, or DJing, he is the talent behind Reuschelle’s Cheesecakes (www.Reuschelles.com) and won a Best of the Bay award from the East Bay Express in 2009. Your ticket for the: Victor Harris, Jr.